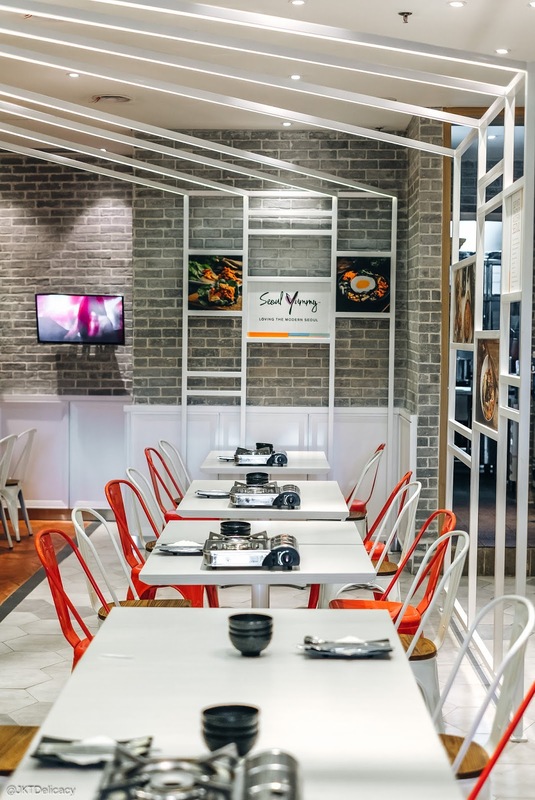 New Korean Restaurant in town, introducing Seoul Yummy! An original franchise from Singapore established in 2008 with over 10 years of culinary experience. 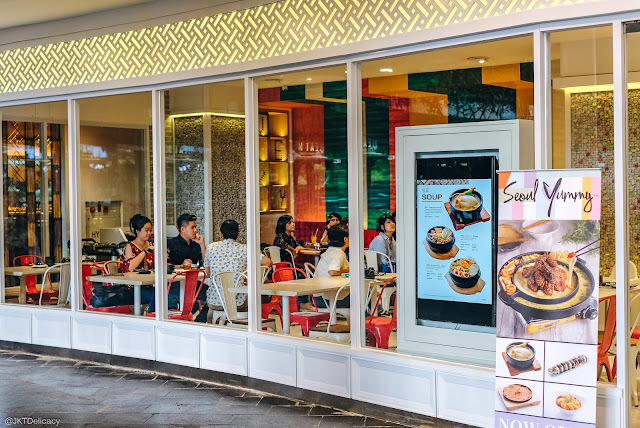 They are opening their first branch in Indonesia on 9 May 2018 at Lippo Mall Kemang Ground Floor (Avenue of The Stars). 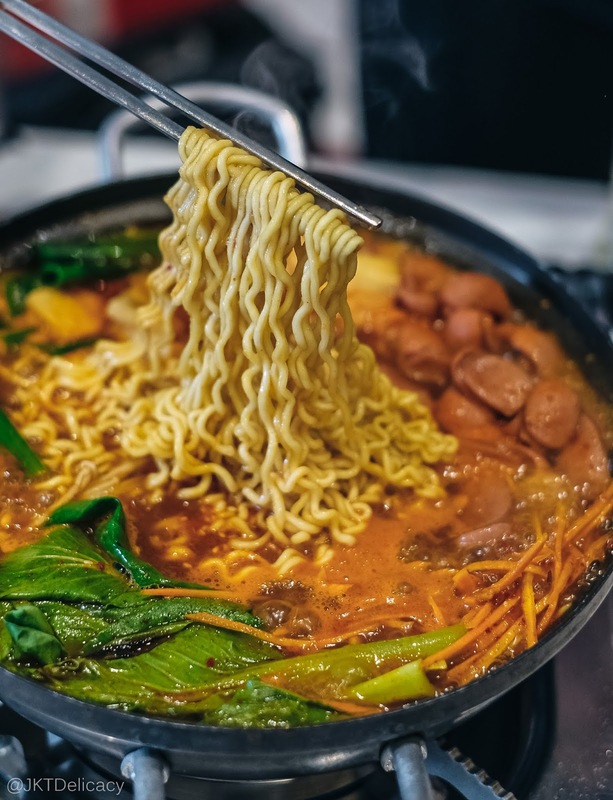 Their signature dishes include Army Stew which is Korean Spicy Noodle Soup, Cheese Pots which is Cheesy Korean Chicken and many other Korean Comfort Food. 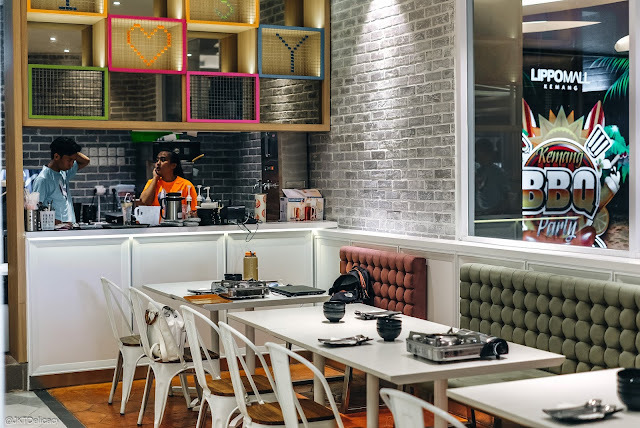 Without further a due, let's check out our dining experience here! 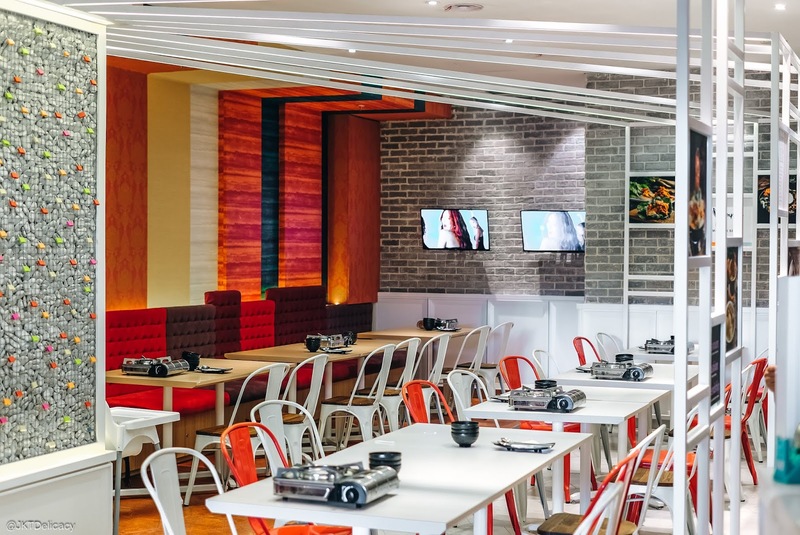 The restaurant can cater up to 92 indoor seatings which is quite spacious. The interior is designed with pop vibrant Korean influence and with popular Korean music played inside the restaurant. And for your information, Seoul Yummy arrives in Indonesia under a joint venture between Gratify Group from Singapore and Maspion Group from Indonesia. 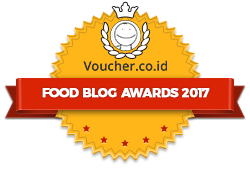 Both have long history of culinary experience in their own respective country. 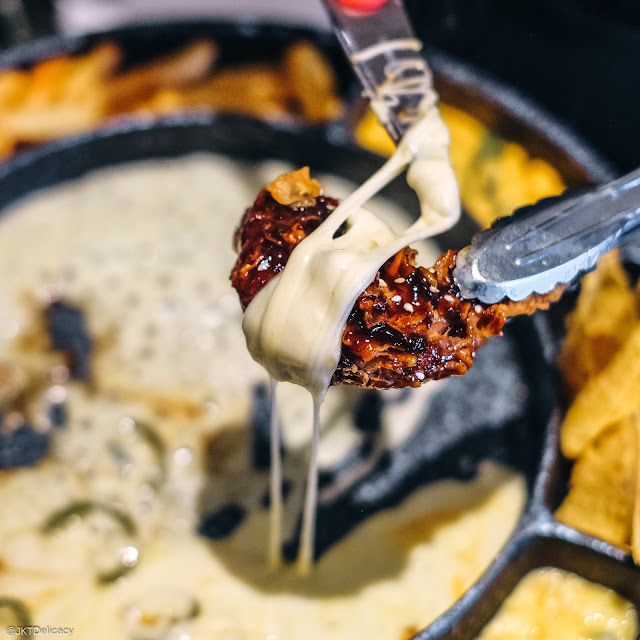 To start off with this Korean Pancake (38k) - available in Potato Pancake and Kimchi Pancake. 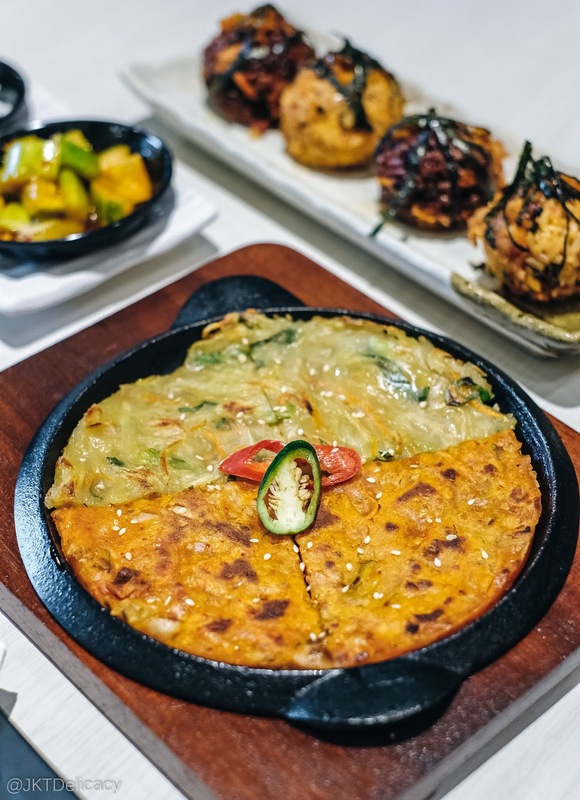 The picture below is actually for a preview purpose only: half Potato Pancake and half Kimchi Pancake. What you gonna get is a full one size pancake of your choice. Its actually pretty small and thin but you can share it for two as a starter. Our personal favorite is the potato pancake, it has that right amount of soft texture and salty flavor. 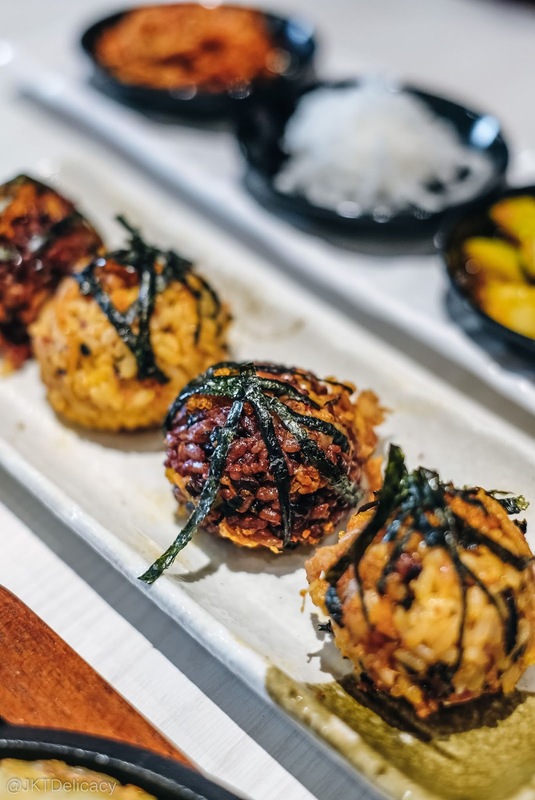 Korean Rice Balls ~ Spicy Chicken (38k) & Bulgogi Beef (48k). 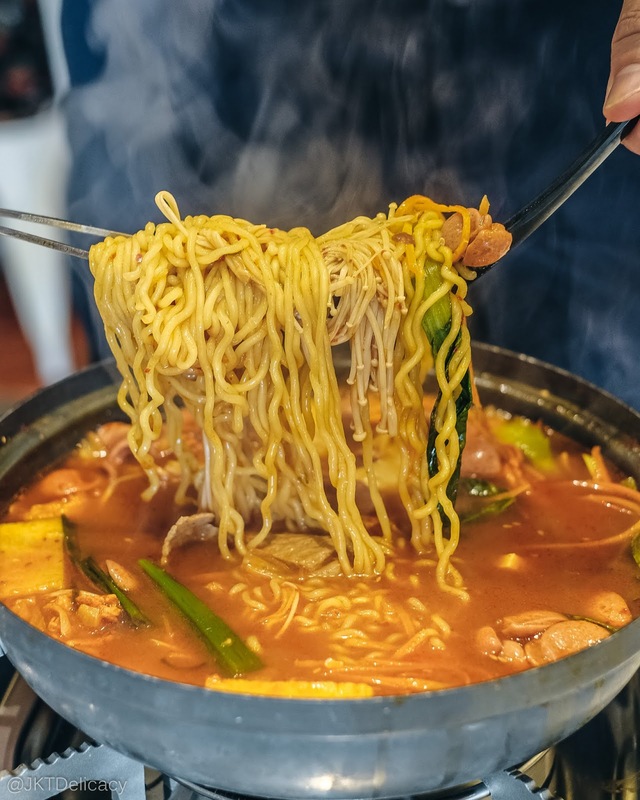 A traditional Korean dish consists of rice, seaweed (sometimes you can find one with sesame) and one choice of chicken or beef, then hand-rolled into a big ball. 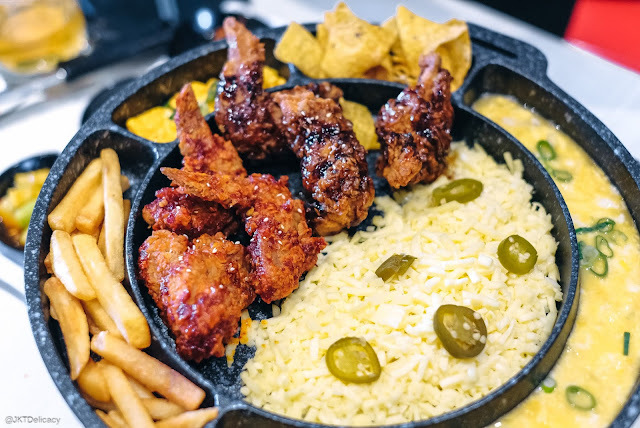 Here below is a mix of both chicken and beef (I think its for a preview purpose as well), but we only tried the chicken one. In our personal opinion, the chicken one was slightly bland. So, it will be better if you treat this as a substitute of white rice. 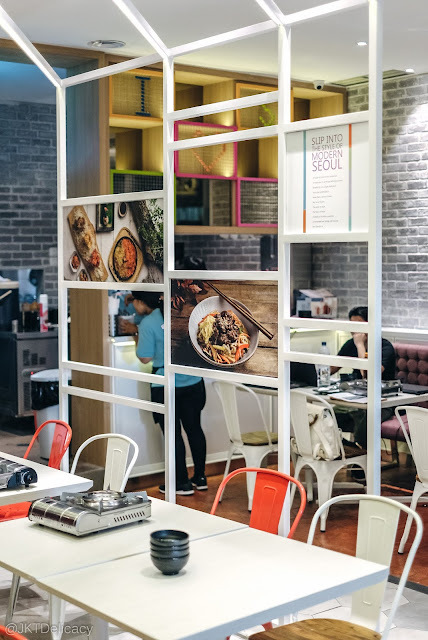 So you can eat it together with other Korean dishes. Let's move on to their signature dish ~ Daebak Army Stew aka Budae Jjjgae (Chicken 148/ Beef 168k). 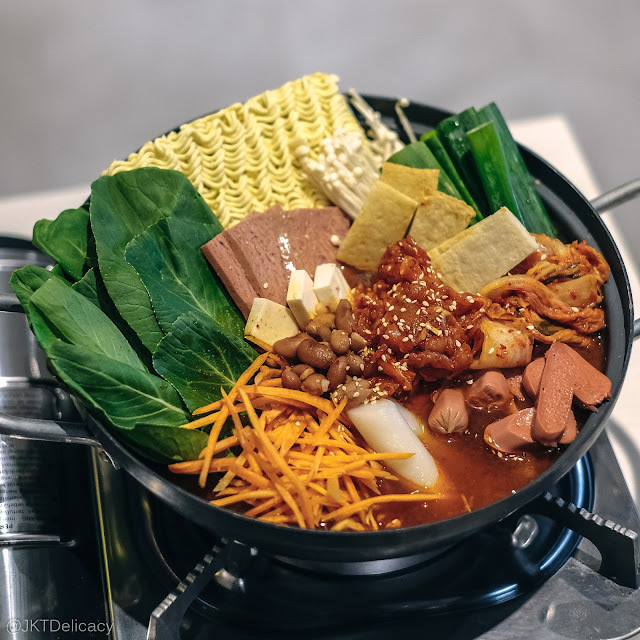 A big pot of sweet, savory, and spicy boiling soup aka Gochujang flavor with assorted fillings such as spicy chicken or beef slices, noodle, sausages, kimchi, enoki mushroom, chicken luncheon meat, tofu, carror, baked bean, and tteobokki (rice cake). Quite a lot of fillings, isn't it? Although it looks very spicy, it actually wasn't quite that spicy for us. And the huge portion is sharable for 3-4 persons if you also order other dishes. Personally, this is the best dish amongst all other dishes that we tried here in Seoul Yummy. The soup kept us sipping more and more. Another signature dish ~ Chingy Cheese Pot (188k). 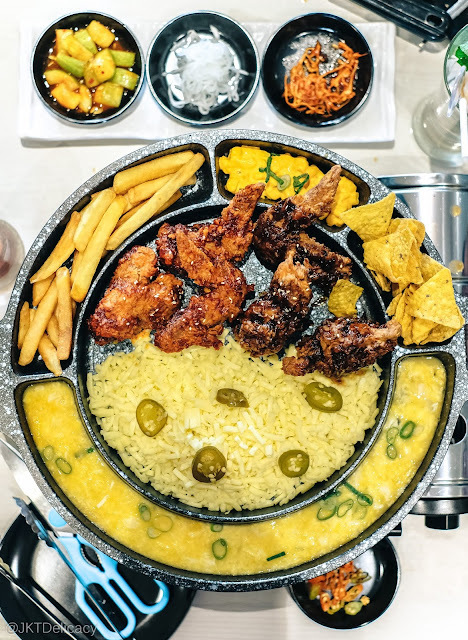 Another big round hot plate of 6 pieces chicken wings with mozzarella, cheddar cheese, french fries, shaken egg and two sides of your choice (ours were corn cream and tortilla chips). 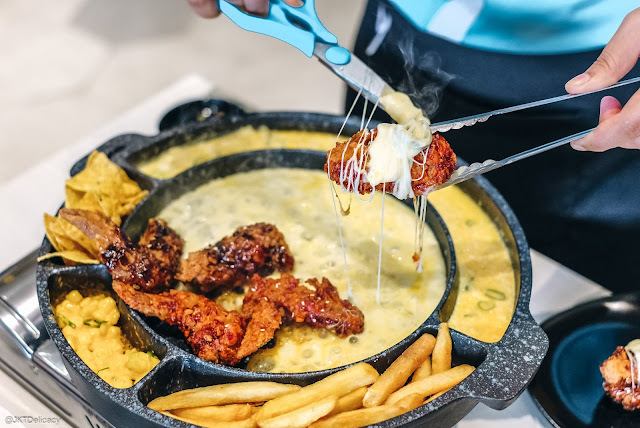 This cheesy thing with fried chicken is a big hit in (almost) every Korean restaurant in town. We can really relate to that as cheese and chicken make a great companion! In this case, crispy spicy chicken and crispy sweet chicken meet melted mozzarella rolled all over the chicken! 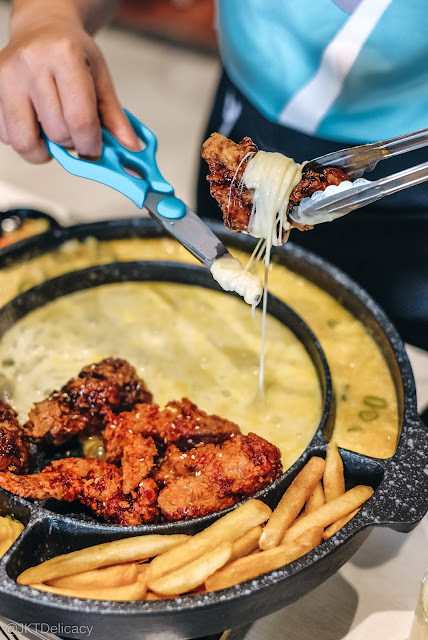 We've always been wondering why most Korean Cheesy Chicken use chicken wings instead of chicken thigh or chicken breast? 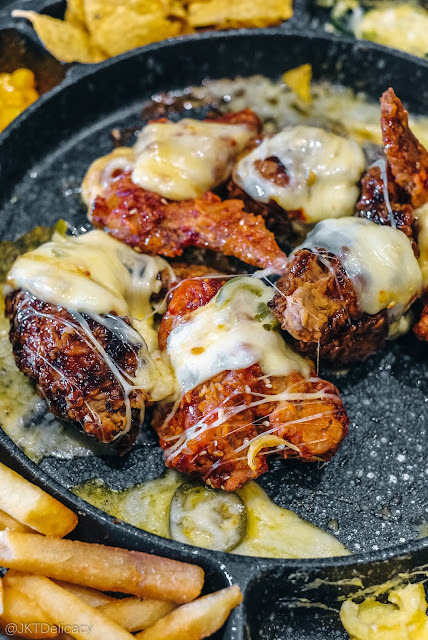 Well, simply because chicken wings is very moist, the meat is less thick than other parts of chicken, which resulting in a more easily marinated meat. 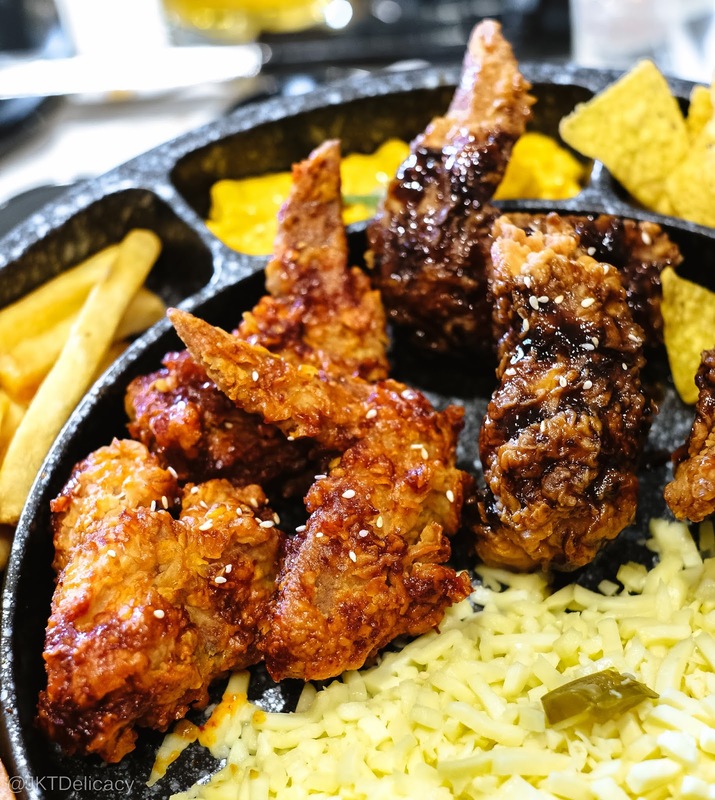 Here's our personal opinion: the sweet chicken was slightly too sweet for our liking. 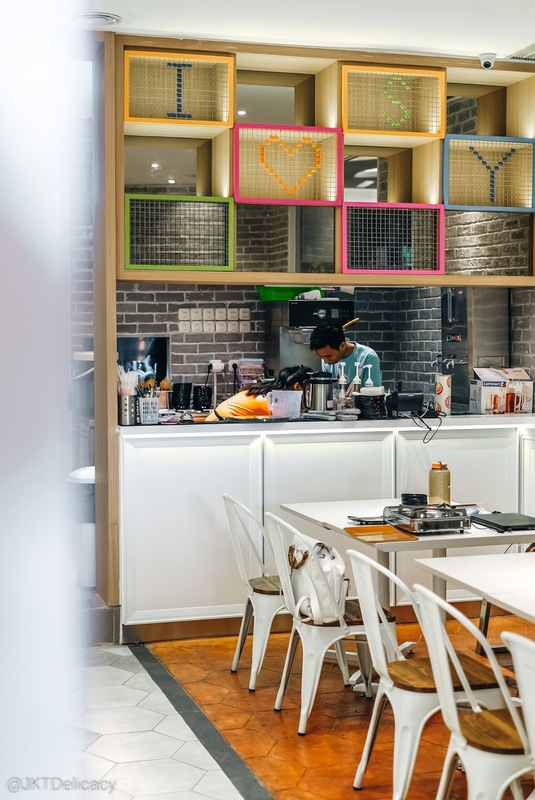 But if you love sweet dishes, then this might not be an issue for you. 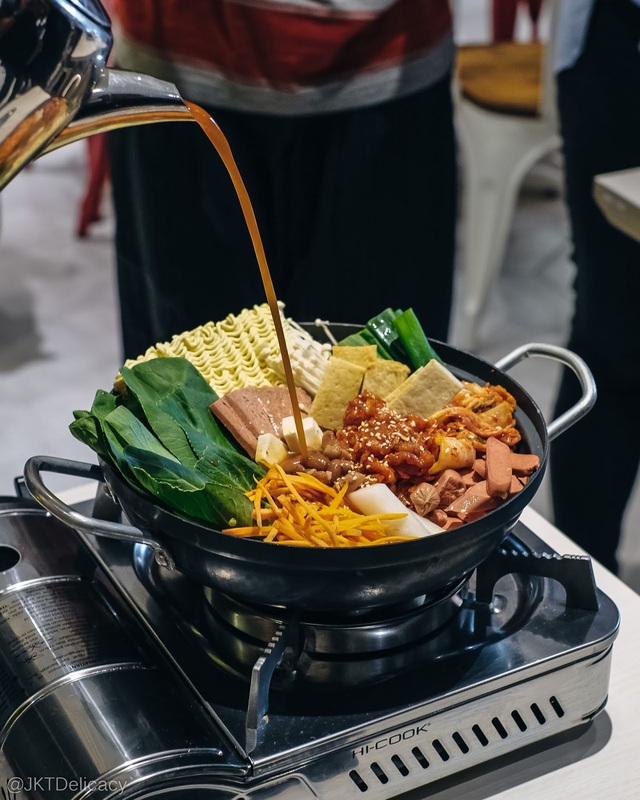 Well, we are actually more into salty and savory dishes, so pardon us. We actually heard that some dishes for the Indonesian market are customized to suit the Indonesian tastebud. 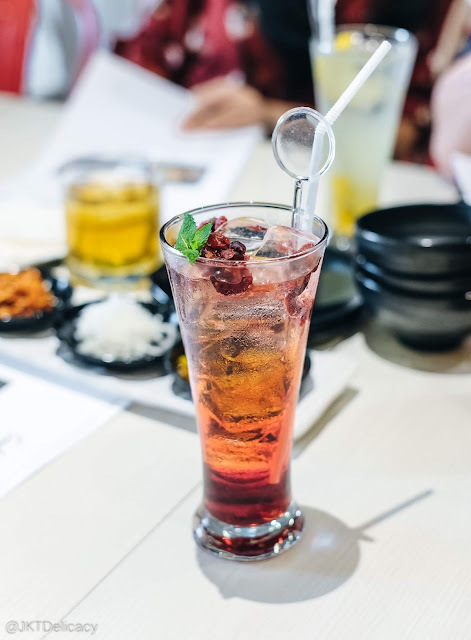 In this case, more sweet than the one in Singapore. 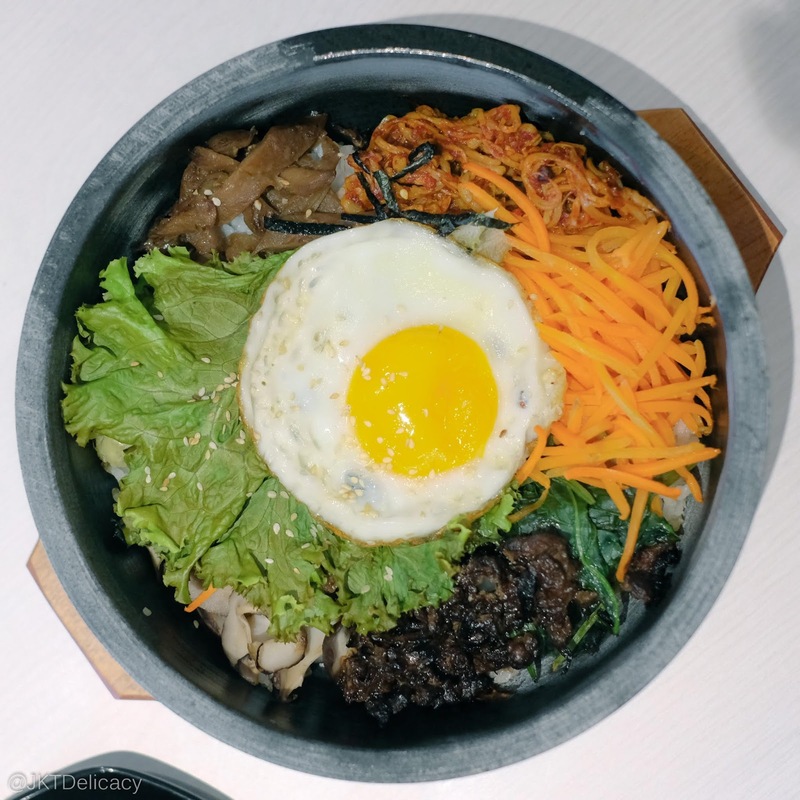 If you enjoy Korean rice dishes, you may want to try their signature Sarang Bibimbap. A rice dish topped with assorted veggies, fried egg, kimchi, mushroom, and a choice of chicken or beef bulgogi. Don't worry, they are less than 100K for this big bowl. So, it is very pocket friendly. However, we didn't get the chance to try this. So, no review for this dish. 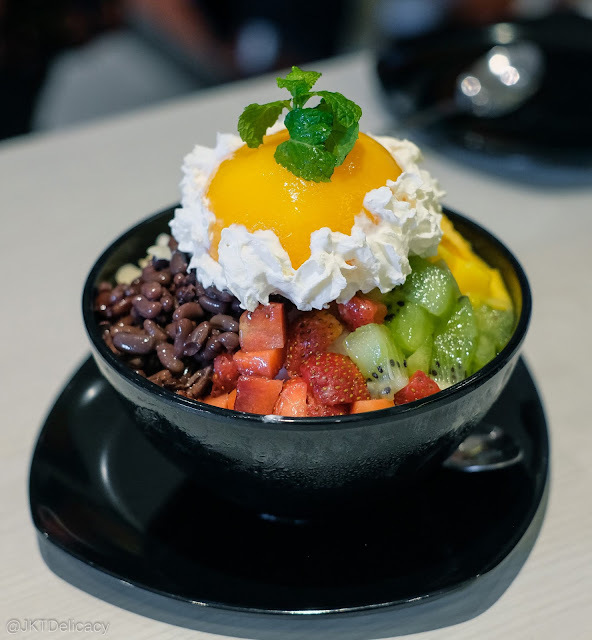 Last but not the least, their signature Bingsu aka Korean shaved ice dessert. 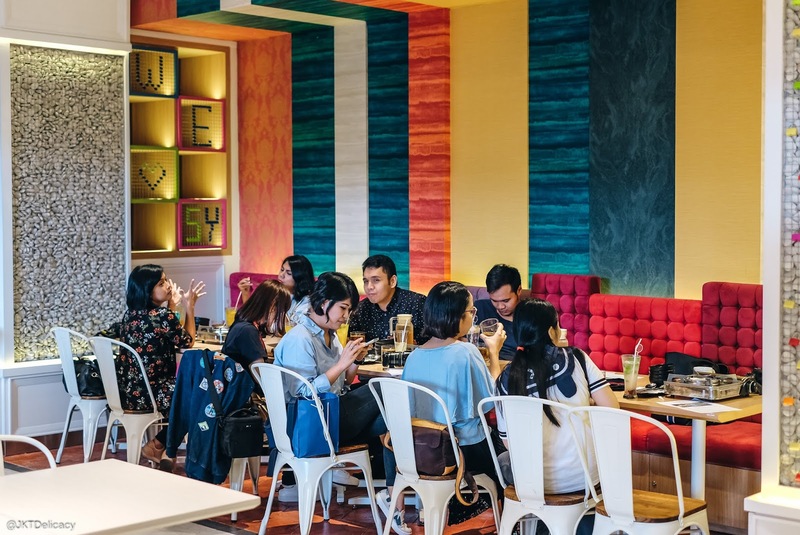 This must be familiar for most of us as it is widely popular in Jakarta. This specific one is called Mr. Bibimbap (65k) ~ fresh kiwi, strawberry, mango, red bean, almond flakes, cornflakes topped with whipped cream amd peach. Truthfully the perfect ending for a big lunch or dinner. A must order! Overall, Seoul Yummy completes the competition of Korean Restaurants in Jakarta. But you can expect much more pocket friendly dishes here compared to their existing competitors. 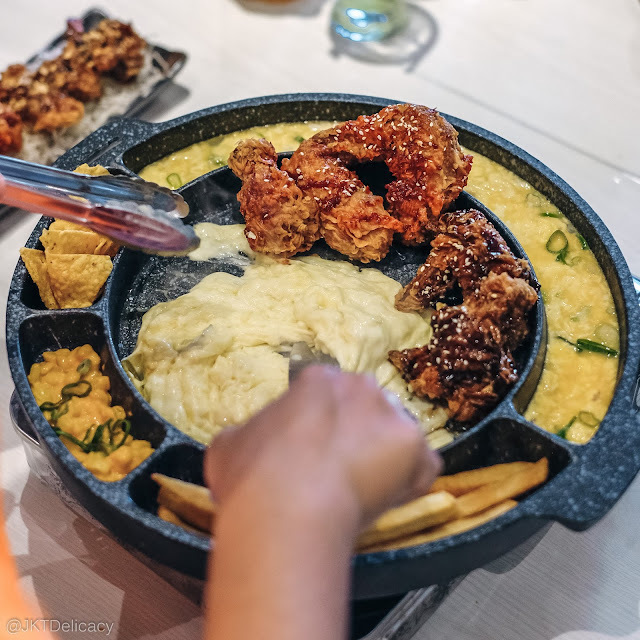 Though there must be a little improvement on some dishes, we still think that they are coming at the right time when cheesy thing is a big hit and at the right place considering Korean Restaurants are not that many around Kemang area.